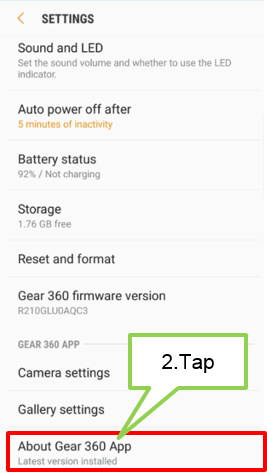 Samsung Gear 360 (2017): How to update the Samsung Gear 360 app? Step 1. 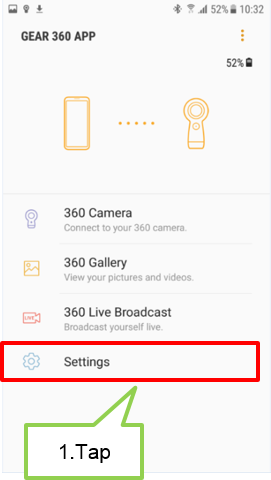 After launching the Samsung Gear 360 app or the Gear 360 app on mobile device, Tap Settings. Step 2. Tap About Gear 360 App and tap Update now. Samsung Gear 360 (2017): How to update the Samsung Gear 360?